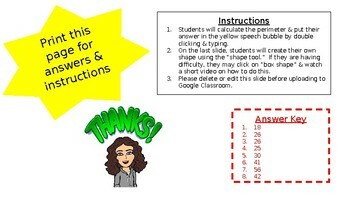 Upload this Google Assignment right to your classroom. 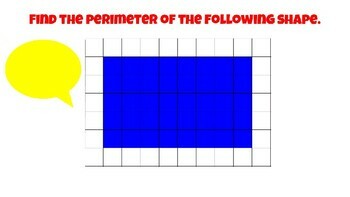 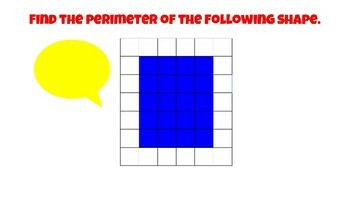 Students will find the perimeter & put their answer in the yellow speech bubble. 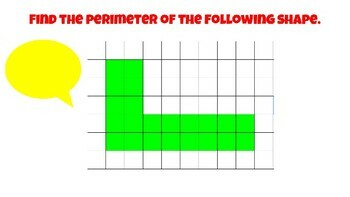 Students can create their own, using the shape tool, on the last slide.